Feick Security provides Certified K-9 officers. 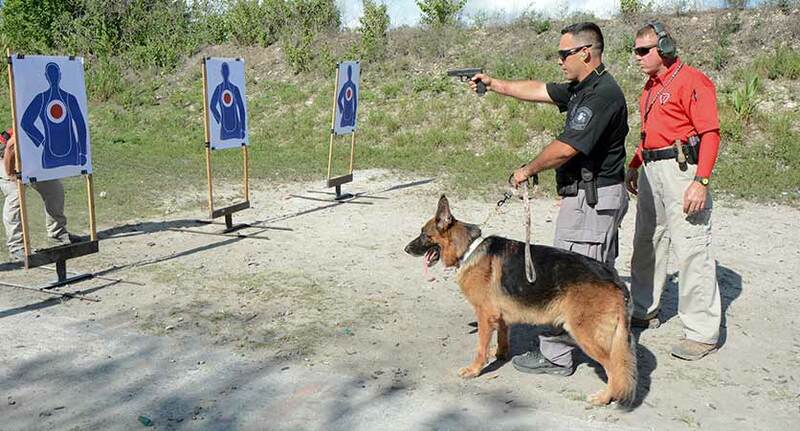 These officers and their highly trained canine provide a less-than-lethal alternative to firearms. Together they are able to patrol a greater area with fewer personnel. Because of the heightened sense of hearing and smell, these highly trained security canines can often detect threats well in advance of their human counterparts. K-9s also serve as a powerful visual deterrent against would-be aggressors or trespassers.